Collaboration, Professionalism, Excellence. 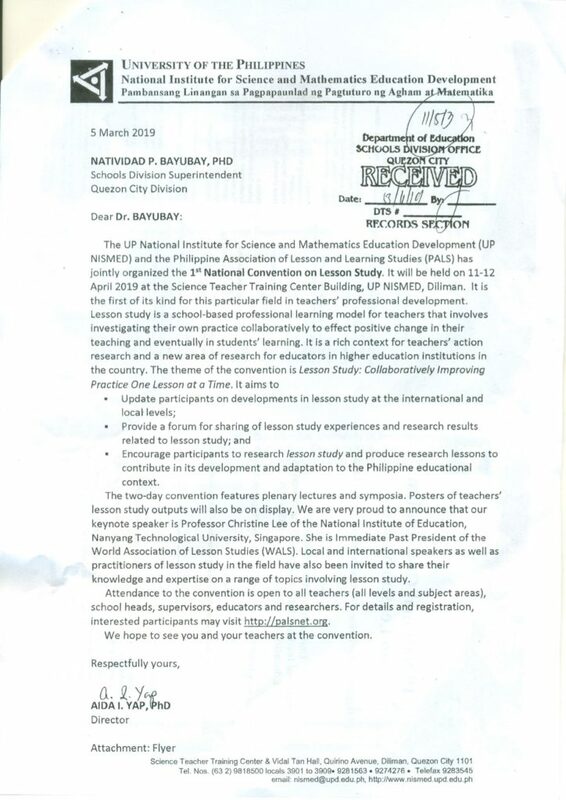 NO TEACHER LEFT BEHIND. 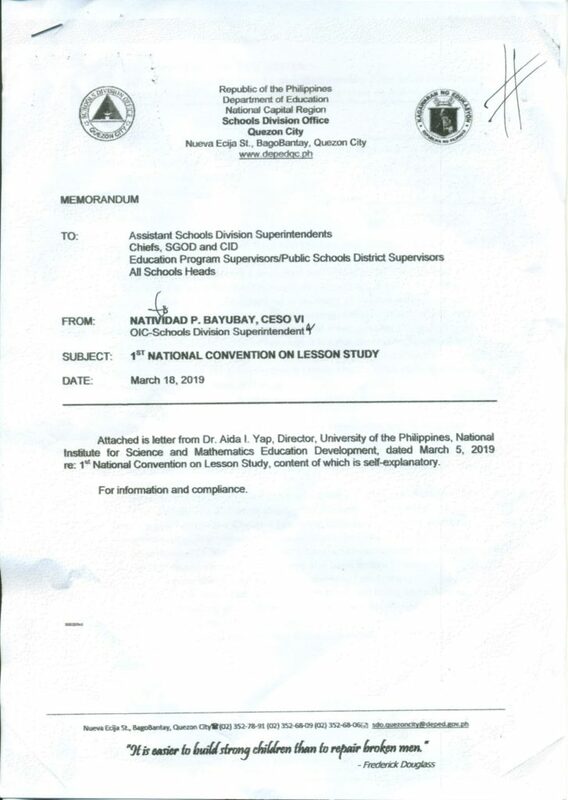 Here’s the Quezon City DepEd memo regarding the 1st National Convention on Lesson Study. Enter your email address to subscribe to PALS.